If you thought you had seen the back of the jeering crowds spilling pints of Guinness on each other, slapping each others arses and bellowing slurred insults at one another in unnecessarily gruff voices, I’m afraid you were wrong. Yes that’s right, the 6 nations got back under way this weekend and if you decided to brave your local watering holes you can’t have failed to notice, as you scraped the half chewed bits of peanuts out of your hair, that this weekends games were of some significance. 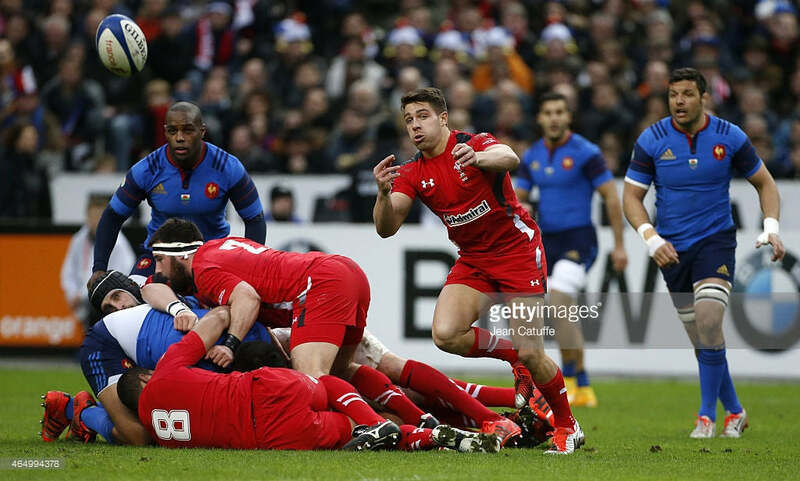 It was the French’s turn to take on the mighty Welsh this weekend, as the final whistle went the Men in Blue were met with waves of boos from their fans at the Stade de France, as they limped to their second successive loss leaving their title hopes in tatters. A fairly uneventful first half left the score 6-3, with Leigh Halfpenny having kicked two penalties to France’s Camille Lopez one. It wasn’t until the hour mark that the game kicked into life when Rhys Webb broke the French defense and some very clever passing from Dan Lydiate allowed Dan Biggar to cross in the Corner. The French weren’t buried yet as the hit back quickly with a well-worked try for the pocket sized full back Brice Dulin. It wasn’t enough though and a further Penalty, slotted by Leigh Halfpenny, gave Wales a well deserved win that leaves that very much in the mix for this years title. The Scottish faced the slippery Italians this weekend and with a team that have been growing in stature over the last few months this was their chance to stamp some authority on this years competition. After two successive defeats for the two teams both went to into this game needing a win to avoid that embarrassment of that ever-looming wooden spoon. The game started well for the Scots who kicked in front early on to give themselves a 3-0 lead. Their lead was extended further after a real school boy pass from Italian Fly half Kelly Haimona was intercepted by Mark Bennett who ran in under the posts from 60 meters out. The Scots took their foot off the gas after their early lead and the Italians responded with a forward drive over the line allowing Joshua Furno to score in the corner. The Italians had their tails up and the wind in their long flowing locks as they followed this up with a try from Giovanbattista Venditti who pounced on another woeful penalty attempt by Haimona to score under the posts. 14 points from Scottish Captain Greig Laidlaw kept the hosts ahead until the final minute but it wasn’t to be for our Haggis loving friends from the North. In the last minute of the game the Italian’s pulled the rug from under the Scot’s feet by scoring a last gasp penalty try converted by Tommaso Allan to give them the win with the score Scotland 19 Italy 22. 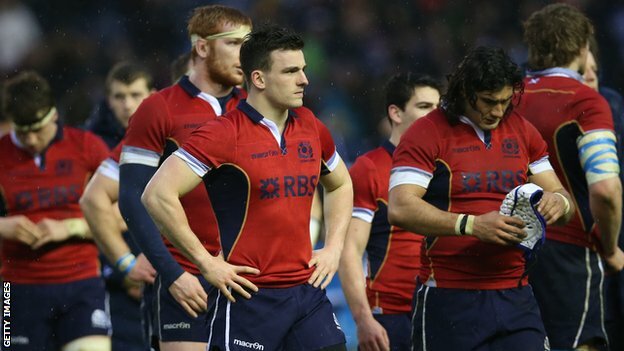 A great result for the Italian’s heart break for Scotland. The final game of the weekend saw England take on the Ireland, both sides starting the game unbeaten and desperate to keep it that way. As the ball left George Ford’s boot from the kick-off it was clear which side would end up on top. The Irish dominated possession with well-worked link up-play between forwards and back and inch perfect placekicking pinning the English in their own half. Lack of discipline gifted Jonathan Sexton three penalties, which he converted with ease to give the irish a 9-3 lead at the end of the first half. The impeccable Sexton continued his scoring ways in the second half knocking over a further penalty, displaying a master class of control over the back line and dumping George Ford on his head before heading for an early bath, a job well done sir. The second half saw the only try of the game as the superb Conner Murray chipped over the top to allow Robbie Henshaw to score in the corner opening up a gap in the scores that the English never looked like bridging. The men in White were outplayed in all departments continually giving away basic penalties, regularly losing out at the breakdown and showing a real lack of gumption under the high ball. 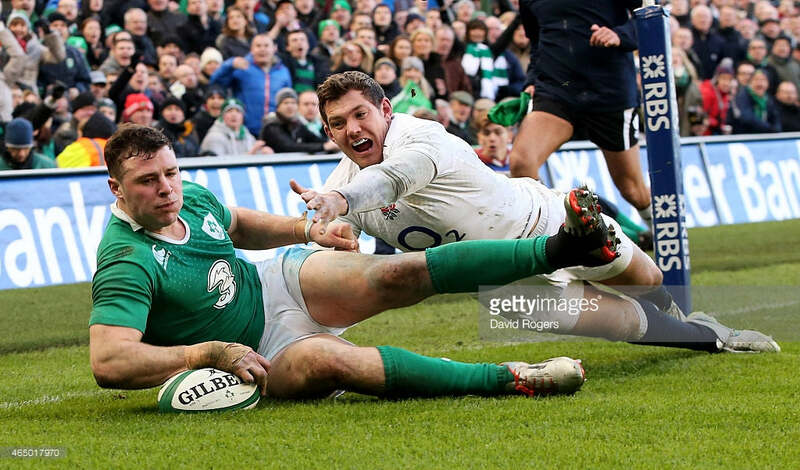 After a very promising start to this six nations the final score of England 9 Ireland 19 will go down as a harrowing defeat for Stuart Lancaster’s team. A stark reminder of the kind of quality opposition they will face in this years world cup, best take those sweet chariots back to the drawing board chaps. Next week is the penultimate round and sees Italy play Wales, Ireland take on Scotland and France challenge the English. A tasty line up for all rugby fans and for those who are sick of hearing about knock-ons, scrums, rucks and mauls, comfort can be found in there only being two weeks left.